Non-Muslims are Willing to Sacrifice their Lives for What They Believe in – What about you dear Muslims? 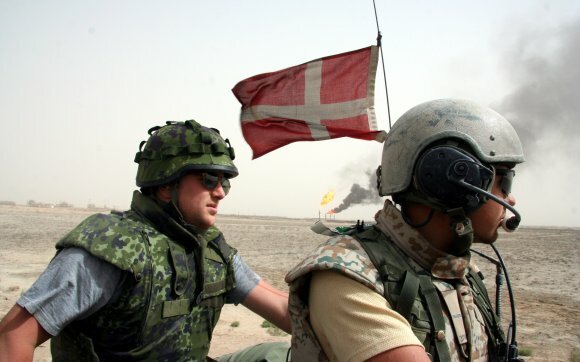 A few days ago, the new Danish government decided to shut down the so-called “Iraq-Commission”, that was supposed to examine the legal basis for Denmark to engage in the 2003 US led war in Iraq. This controversial decision has sparked huge criticism from many fronts and a series of disclosures of all from lies about the legal basis to secret deals with private security firms such as the former “Blackwater”. The reaction in Denmark is not unique, because recently we have seen a public demand for “legal” and “moral” justification for engaging in wars all over the western world. Thus, when it becomes obvious that the reasons for wars are less ideological, but rather more economical, ordinary people including soldiers feel mislead and some even become outraged. The internal criticism, the demand for clarity and “legal” and “moral” justification for going to war is interesting from many angles, but we should also brush upon a more basic ideological angle and especially in this sacred month of Ramadan, which is also the month of jihad and conquests. For this reason it is paradoxical and hypocritical, when non-Muslims, on one hand see it completely justifiable going to war and killing people, for the sake of spreading their own ideology, and on the other hand attack the concept of jihad and claim that Islam was and is being spread by the sword. However bad, this is not the worst, since contradictions and hypocrisy is an integrated part of liberal thought and secular western values. The worst thing is that some Muslims crumble under the false narrative, become apologetic and alter or even abolish the concept of jihad. As we all know, Jihad is an Islamic duty of great importance and it is part of the Islamic state’s foreign policy and method of spreading Islam. However, unlike the western world, it does not mean forcing your concepts or values on other people regardless of their beliefs even if you have to kill them trying. Islam has come as a mercy to mankind, and we as Muslims have been given a great gift but also a great responsibility of this mighty Deen. We should always challenge all the false narratives that even come from a people who have absolutely nothing when it comes to true concepts or ideas, whereas we have divine revelation and therefore should present Islam as it is, with strength and pride. The month of Ramadan should even remind us to strive further. Was it not for the sacrifice, dawah and jihad of the Muslims before us, many of us may not even be Muslims today. The month of Ramadan is indeed a month of prayer and fasting, but it is also a month of conquests. There are millions and millions of people in the world who live all their lives, even risking their lives, for empty Kufr values and concepts. They all need Islam, and this task is for an Islamic State on the method of the Prophet that will carry Islam as a message to the world through dawah and jihad. Dear Muslim what is your stand?